RSPE Audio Solutions is giving you the chance to win the storage solution specifically designed for the audio professional's workflow! During June, you can enter to win a 2TB G-Dock ev with Thunderbolt storage solution ($649.99 Value), which features the lighting-fast thunderbolt ev dock and 2 portable 1TB USB3 ev drives. 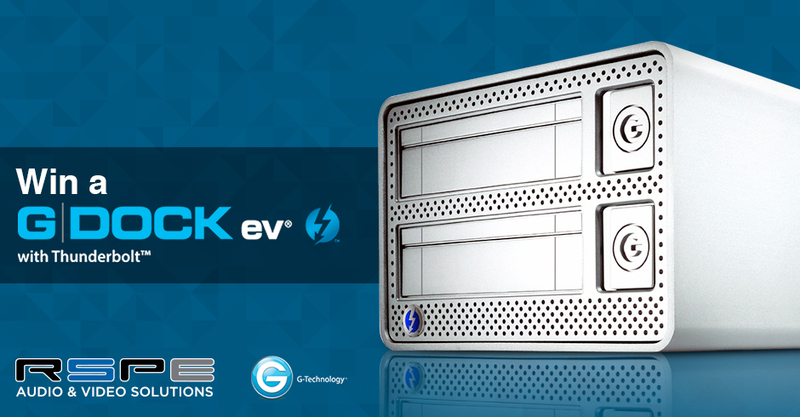 Enter for your chance to win the G-Dock ev with Thunderbolt! Double your chances by entering a second time on Facebook!